Lucero Law - Specializing in immigration, bankruptcy, estate planning, and corporate formation - Serving all of Southern California. The Law office of Richard Lucero is a boutique firm which offers a full range of legal services which include immigration, bankruptcy, estate planning, and corporate formation. The firm was founded in 2004 and since has helped hundreds of clients resolve their legal matters. Mr. Lucero has assisted numerous clients resolve their immigration matters in Immigration Court and through various visa petitions or legal appeals. His immigration clients consist of Chinese, Mexican, Mongolian, Canadian, Persian, South American, Central American, Cambodian, and various other nationalities. 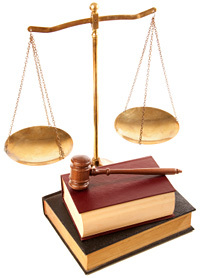 In addition, he has helped a myriad of clients obtain a new start through the use of the bankruptcy laws. Filing for bankruptcy can be a very stressful experience. He takes his time to thoroughly explain the process to his clients and walks them through every step of the way. He prides himself in his ability to educate clients on the importance of various estate planning issues which helps families and individuals protect their assets and their loved ones. Mr. Lucero has also assisted various business owners protect their personal assets through the use of corporate formation strategies. Mr. Lucero takes the time to get to know everyone of his clients on a personal level in order to provide the best possible service and solutions to meet his clients’ needs. Mr. Lucero graduated from The University of California at Irvine with a degree in Economics and Political Science. He is also a graduate of Whittier Law School where he graduated in the top twenty percent of his class. He is also fluent in Spanish and knows a variety of useless Chinese words.